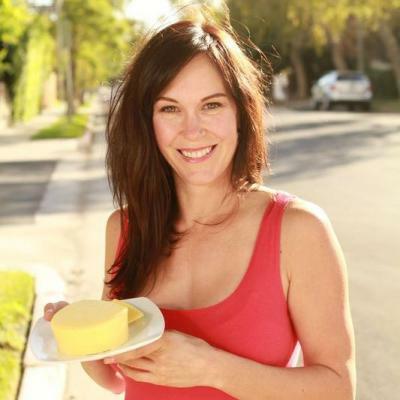 Consuming raw meat — even chicken — may sound strange to some people, but not to Melissa Henig of rawpaleo.com. As a former raw vegan turned raw paleo, Melissa has always been interested in health, and she’s using her knowledge to make natural products that are actually good for you. Products: Cave Woman Cream, Cave Baby Cream, and Cave Man Cream — Natural lotions made from animal fats. Melissa’s commitment to following the advice of our ancestors can be witnessed throughout her online content and in all of her products. The creams she sells on our site are truly unique; made of 100% organic beef tallow, something that Melissa says our ancestors would’ve used as lotion. In addition to the creams, Melissa promotes healthy living in plenty of other ways, and has a lot to say about how the rest of us should seek out natural products as well. What do you do with Raw Paleo? So raw paleo is a raw animal diet, which means I include a lot of raw animal products into my diet, which includes raw dairy, raw eggs and raw meat. I do health coaching, and then I sell natural products like tonics, elixirs, tinctures, and the beef tallow cream. My journey actually started on a raw vegan diet. Then I had nutritional deficiencies, so that’s when I jumped over to raw paleo, and brought in the raw meat and raw dairy. My product developed because I work at farmers’ markets and am always developing new products to sell there. Whatever products I see, I try to make a raw version or a paleo version. I just try to follow the wisdom of our ancestors and what they used, and they used the animal fat as lotion. Why is it important to you to make high quality and healthy skincare products? Yeah, well I just want people to have easier access to high quality products and I know a lot of times they don’t want to do it themselves so I make it for them. I just think it’s our responsibility to do research about what we’re putting in and on our bodies because we absorb everything, and it really does affect our health so much. What is one of the largest problems the average person faces with finding natural health or skincare products? I think it's just not having the knowledge of the 8,000 chemicals that are man-made that we have to really guard ourselves and protect ourselves from. Thousands of man-made chemicals, everything — pesticides, pollution, cleaning agents, lotions — there’s lead in lipstick! I mean it can go on and on but it just starts with awareness. Anything else you want people to know about what you do? I’m just on a mission to help spread health and nutrition, to make healthy products for people, and to help people with health ailments. I also like to inspire people to keep on track because maybe they know a lot of this information but forget it or have a hard time sticking to it. If you weren’t health coaching and making natural products, what would you be? I would be some type of nature guide, or doing something with wilderness skills, like hunting or fishing.